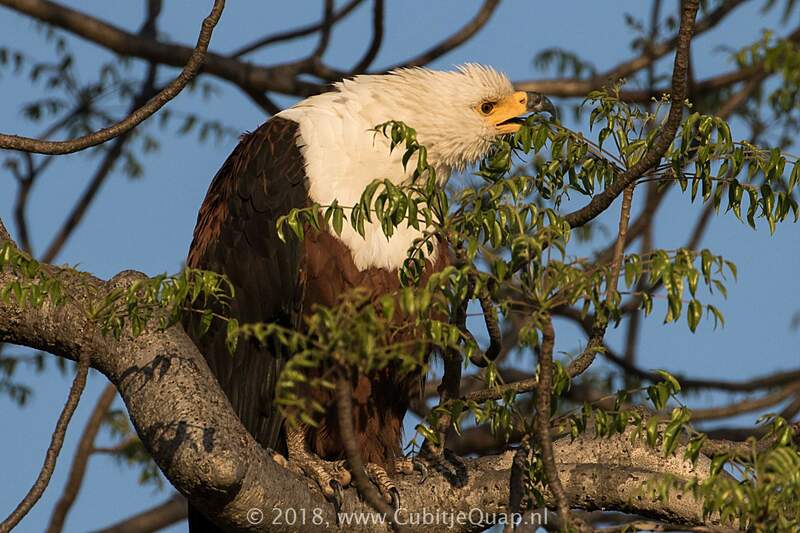 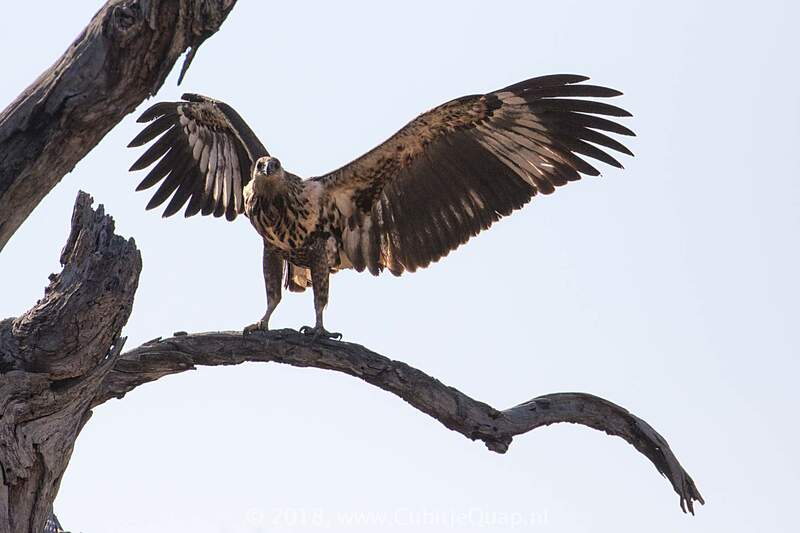 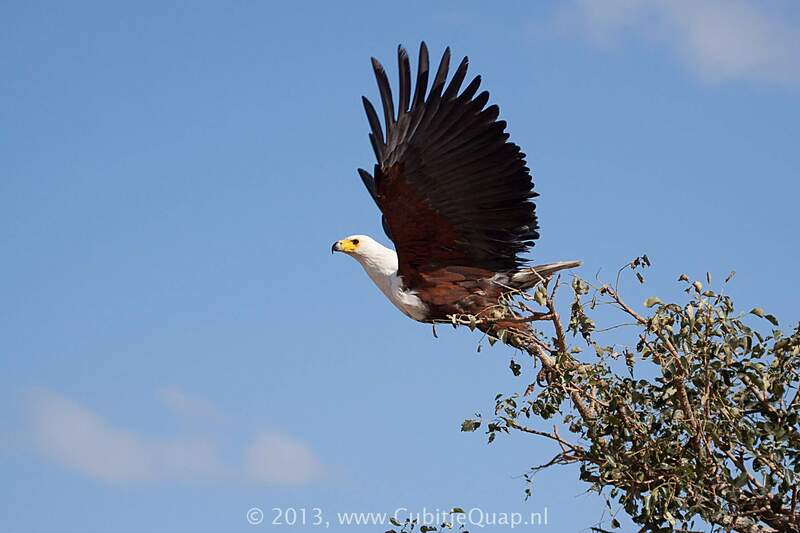 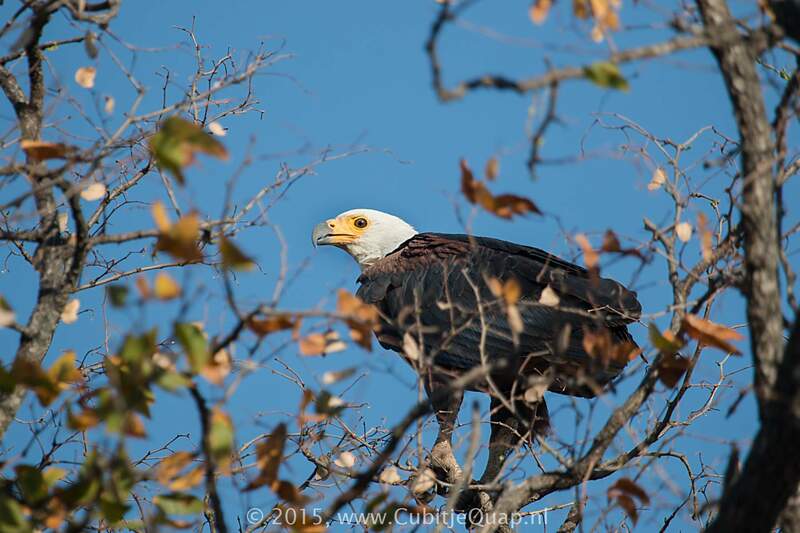 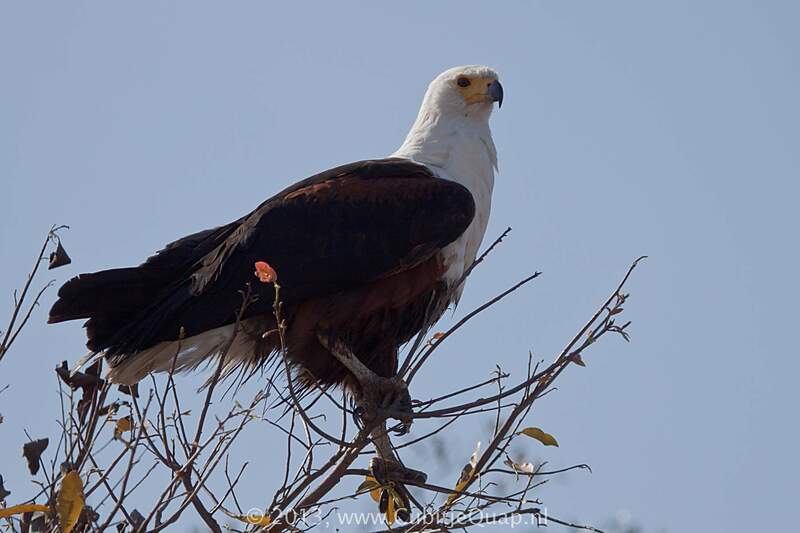 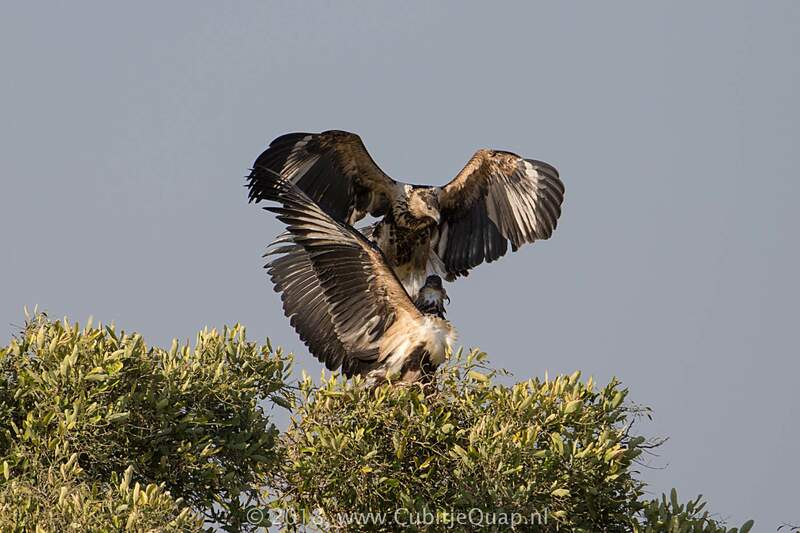 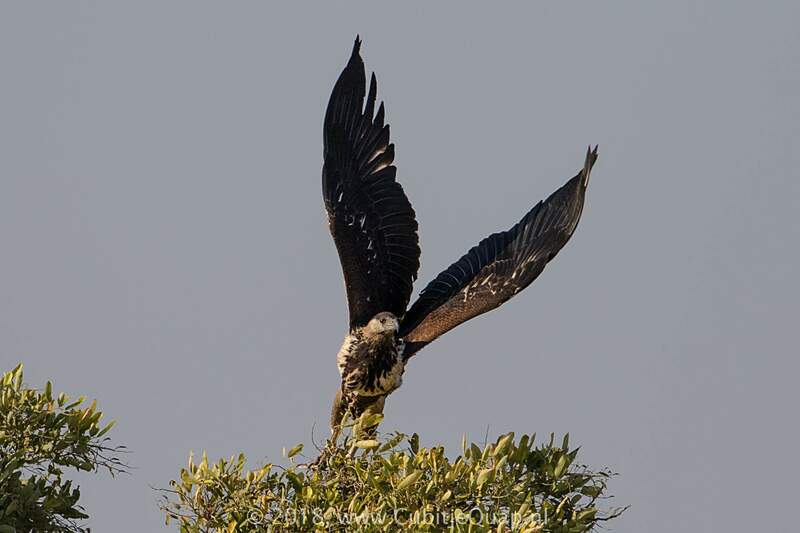 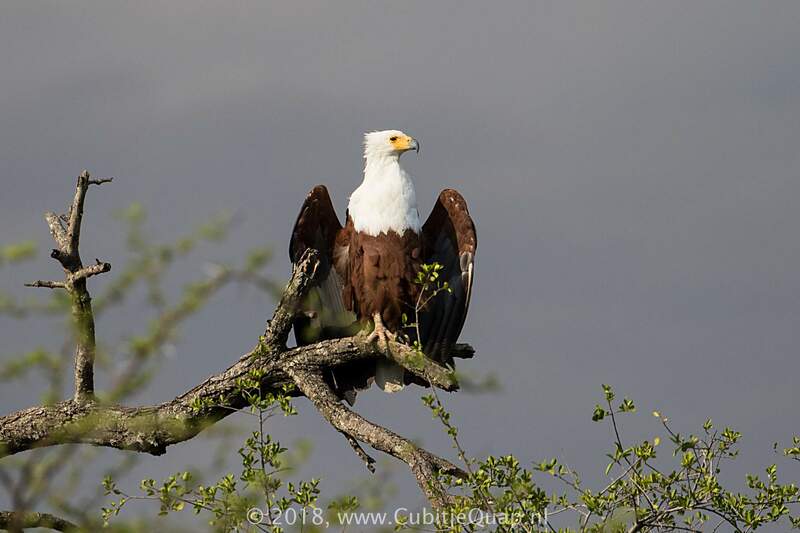 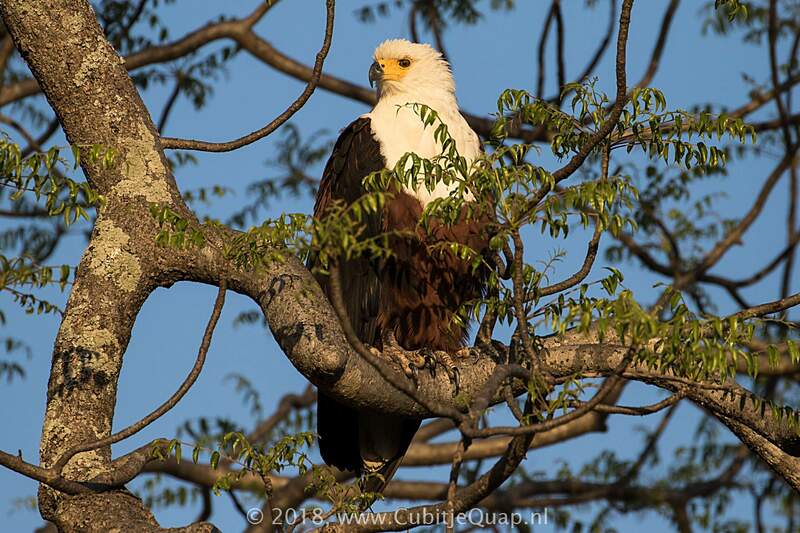 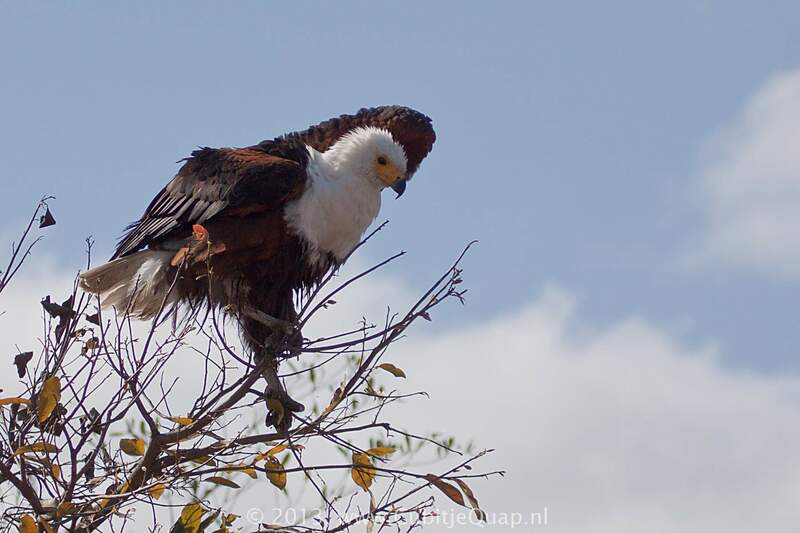 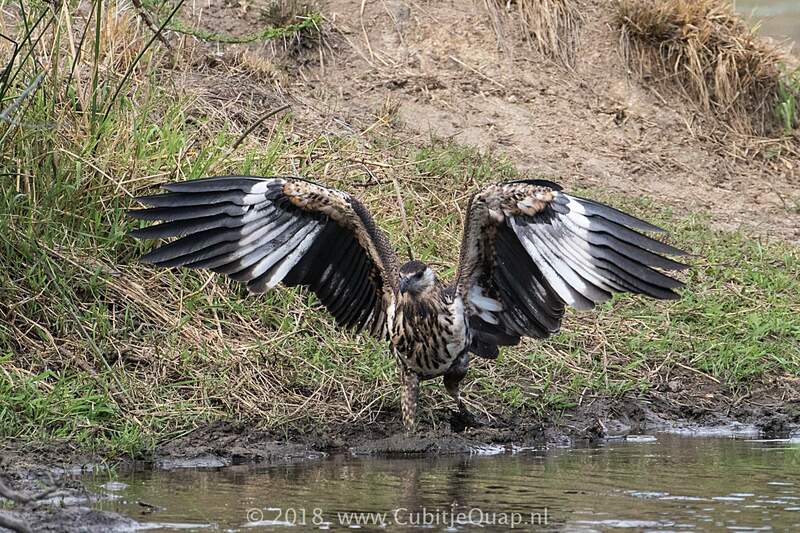 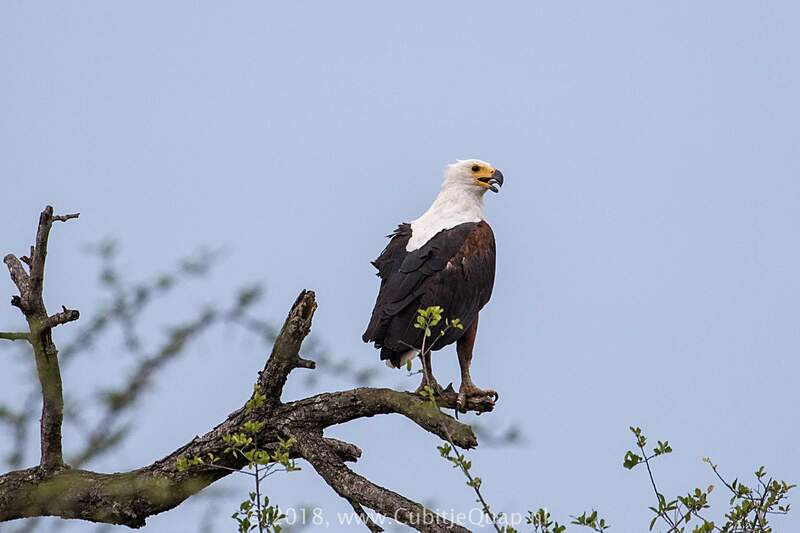 In addition to having a diagnostic call, adult African Fish Eagle is unmistakable with its white head and breast, chestnut belly and forewings, black and chestnut underwings and white tail. 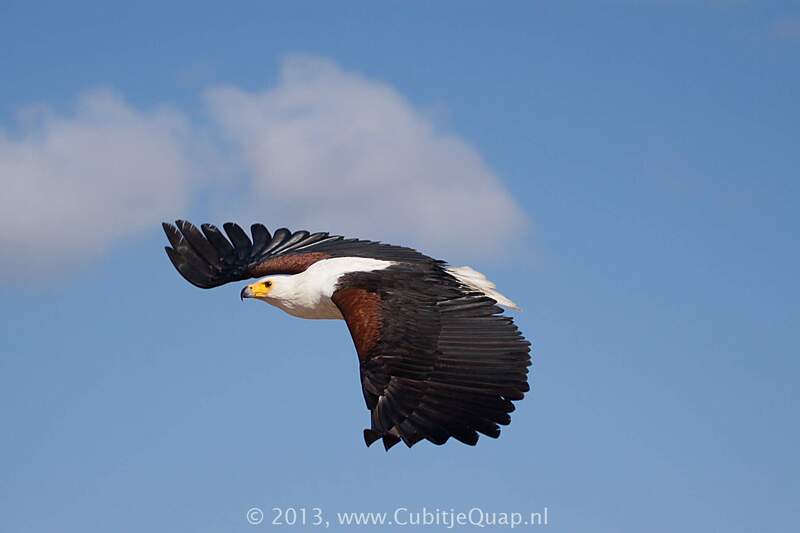 Overall impression in flight is of a large, broad-winged eagle with a short tail. 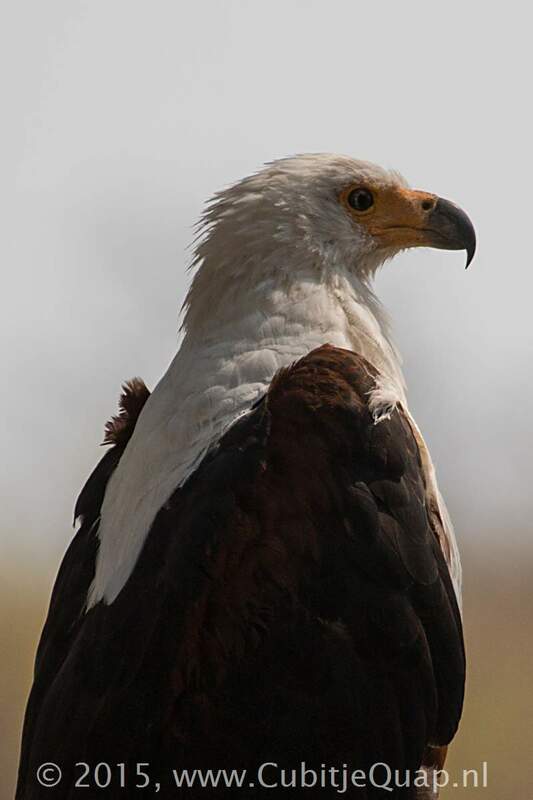 Sexes are alike but female is larger. 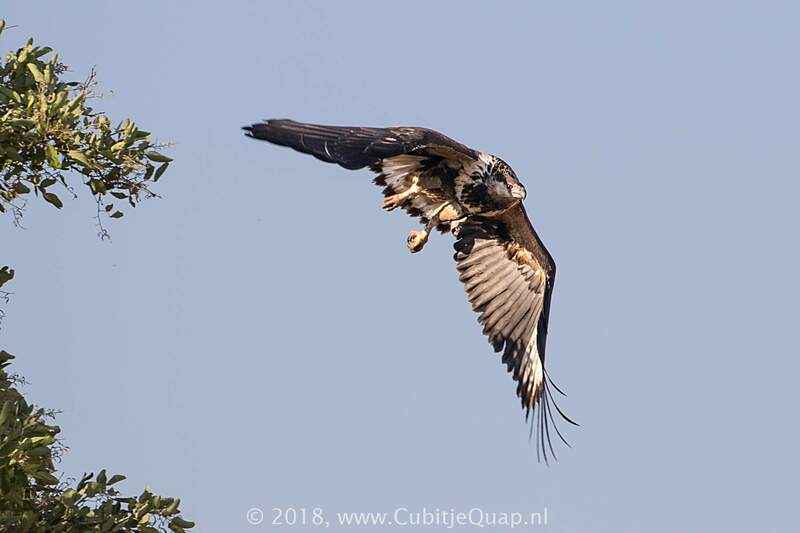 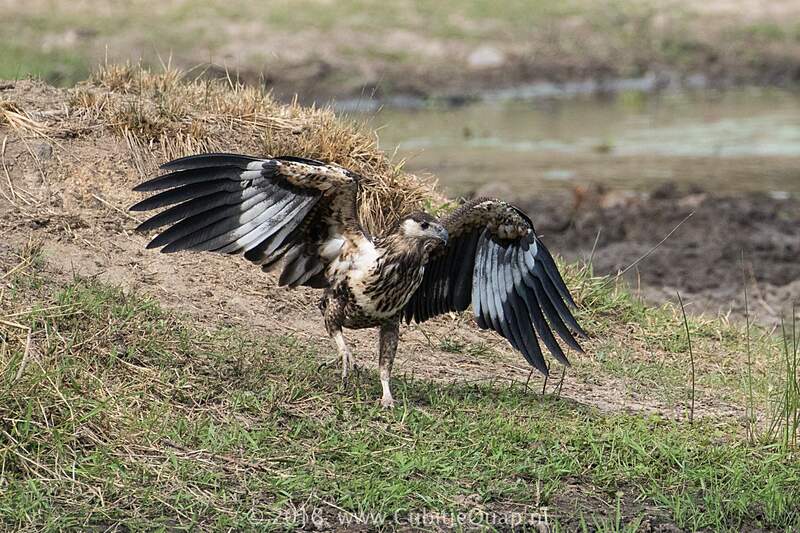 Juvenile and immature are identifiable by their generally dar brown coloration with white streaks on the head and throat, white patches in the flight feathers, and the diagnostic white tail with a dark terminal band. 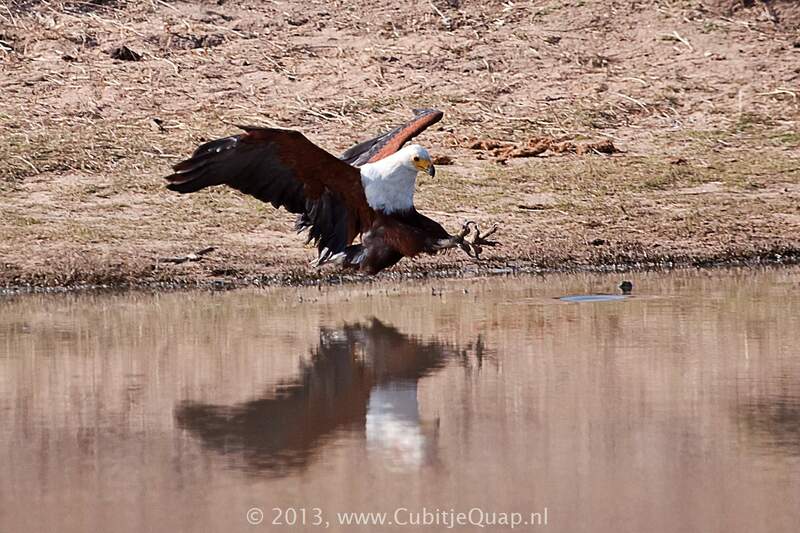 Aquatic: large rivers, lakes and dams; coastal in some regions, where it frequents estuaries and lagoons. 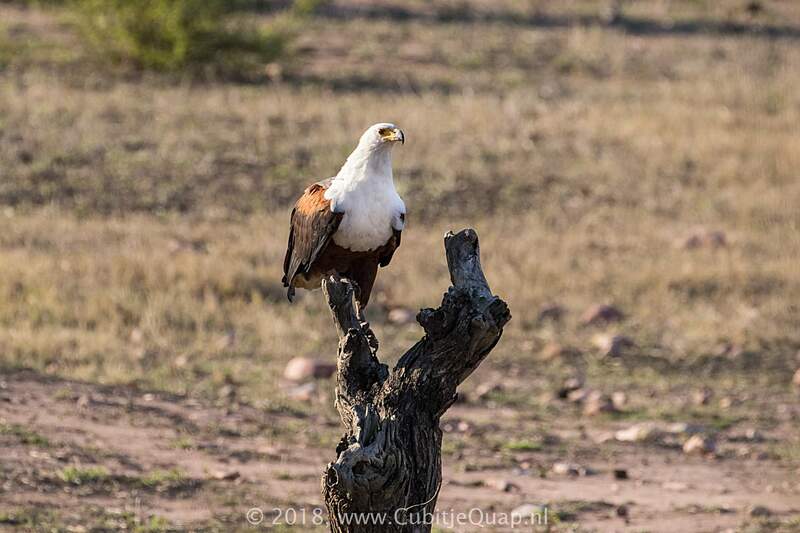 Found throughout except in the extreme dry west. 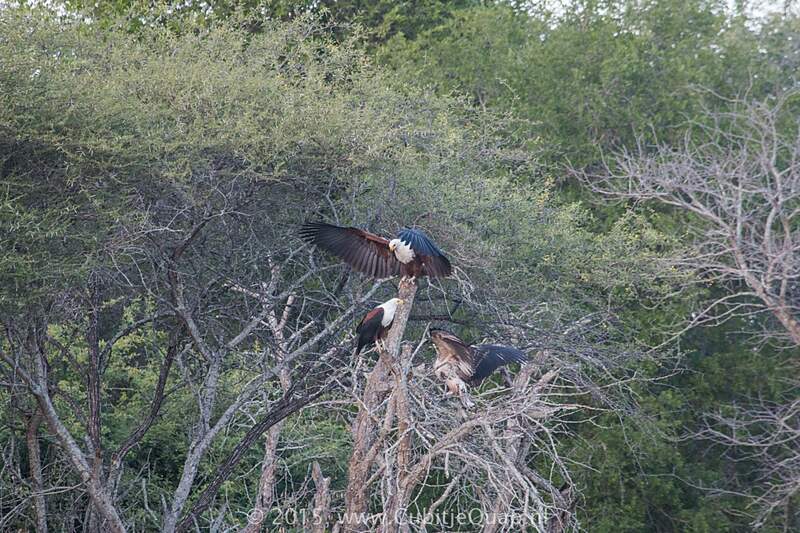 Pairs remain together and often use the same huge stick nest, built in a tree fork or canopy, for breeding. 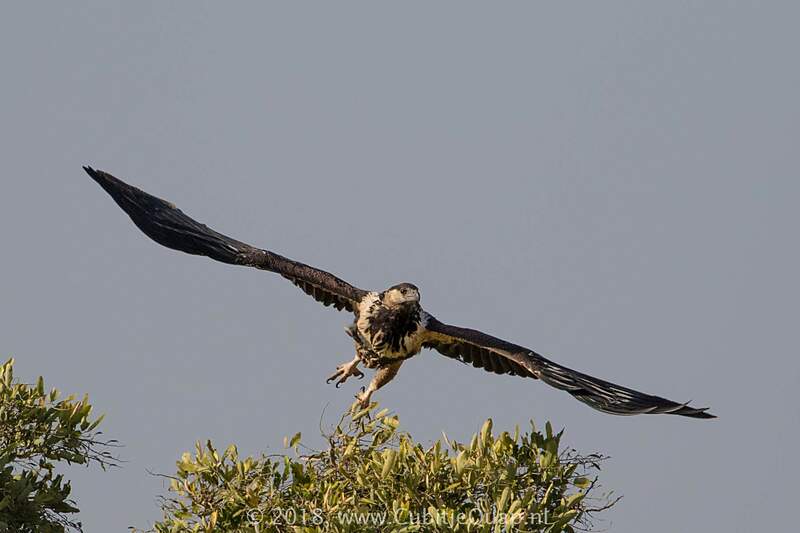 A characteristic, ringing 'kyow-kow-kow', male's higher pitched; often in duet.